In 1843, four years after the invention of the daguerreotype, the poet Elizabeth Barrett wrote, “I long to have such a memorial of every being dear to me in the world. It is not merely the likeness which is precious…but the association and the sense of nearness involved in the thing…the fact of the very shadow of the person lying there fixed forever! ...I would rather have such a memorial of one I dearly loved, than the noblest artist’s work ever produced.” In this portrait of two children—possibly siblings—we can easily see why the new medium so moved her. 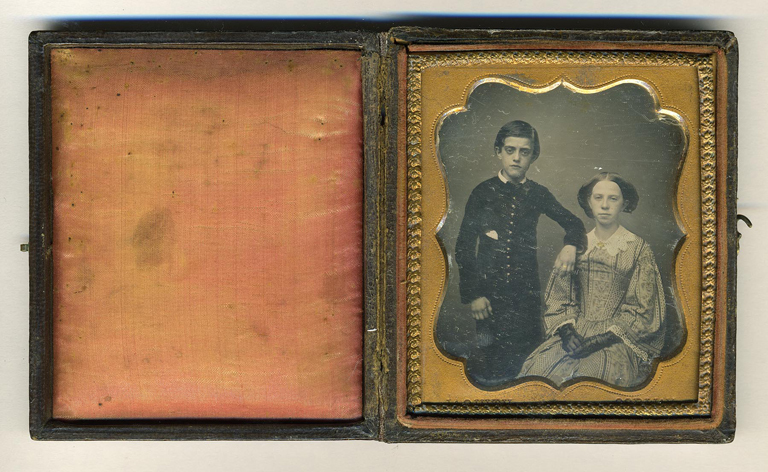 Although the young boy appears frail and ill, the daguerreotype’s crystalline rendering of detail and striking three-dimensionality cements his presence to the plate for perpetuity.